Jpegmafia is a record producer and rapper from Baltimore, Maryland. He was honorably released from the Airforce and has since focused on his musical career releasing the albums “Black Ben Carson” and “The Second Amendment” in 2016. His album “Veteran” was released in 2018 and has received lots of praise from established music houses. The LA-based rapper’s genre of music can be categorized as Emo rap, Experimental hip-hop, and industrial hip-hop.Jpegmafia got inspired to become a rapper by the American rapper, Ice Cube. Jpegmafia whose real name is Barrington DeVaughn Hendricks was born on the 22nd of October 1989. He was born to Jamaican parents in Hempstead, New York. He lived in Queens and East Flatbush, Brooklyn before moving to Alabama at age 13. 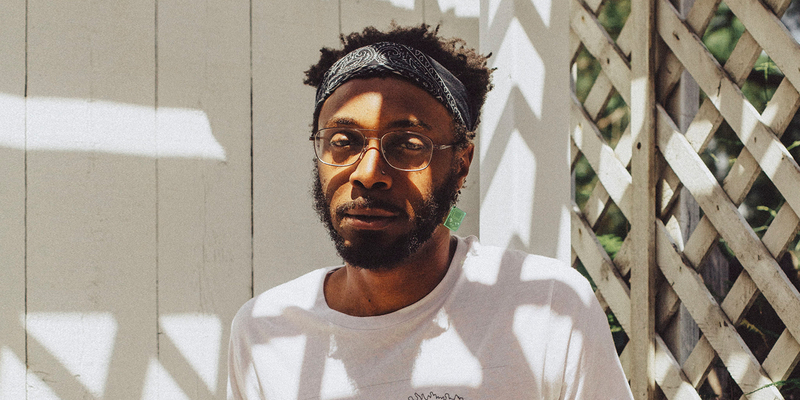 It was in Alabama that Jpegmafia claimed to have experienced lots of racism and discrimination which came to influence his music in later years. Hendricks moved to Louisiana after he joined the Airforce. As a young man, he served 4 years of tour duty in Iraq. He also spent some of his time in Germany and Japan before settling in Baltimore after he was honorably discharged in 2015. His interest in music began when he was in the military. During his military time in Japan, he formed the music group “Ghostpop” and began to make and release music with the name Jpegmafia. After his move to Baltimore, he continued to release music as a solo artist under the same name. When asked about his goal for his musical career, Jpegmafia responds that he takes his music career seriously and wants to make it his full-time job. He added that he wants to make music and beats and get paid for it. He also wants to be a popular artist releasing great albums that will make him relevant even after he is gone. Jpegmafia also believes that this is the era of hip-hop where there is music for everyone. His has collaborated with the likes of Kenny Beats, Denzel Curry, and Clipping. Not much is known publicly about the family that Jpegmafia was born into asides from the fact that his parents are of Jamaican descent. The rapper is in a relationship with a girl that has remained only but a mystery to the media. Per a True Laurels 2015 article, his girlfriend owns a studio in the Bolton Hill neighborhood of Baltimore. The military is not a place where one would get the luxury of time to devote to music and this begs the question of how Jpegmafia was able to do it. Well, the rapper had to wait till everyone was asleep and worked into the night, this way he was able to work on his music free from disturbances. Most of his music and actions are about re-appropriating ideas and symbols. For example, he wears an America flag on his hat to represent what America means to him and also re-appropriate the use of the American flag. Jpegmafia uses his music to speak against discrimination, racism, misogyny, homophobia and political hackery. He believes that the world needs more sincere free thinkers who can really say what they are thinking and feeling and have genuine intentions. He draws inspiration for his music from things that happen around him. For example, “Darkskin Manson” was inspired by Freddie Grays’s death at the hands of the police. His 2018 album “Veteran” was entirely self-produced. The album features songs like “Veteran”, “Baby I”m Bleeding”, “Rock N Roll Is Dead”, “Panic Emoji”, “Thug Tears”, and “1539 N. Calvert”. The album has been described as his best work with an artful collection of songs. He believes the album showcases the experience of being black especially in a country that continues to be openly hostile about their existence. It was released through Deathbomb Arc. Alongside a host of others, Jpegmafia was lined up for his first Coachella performance in the 2019 edition. In a bid to keep themselves glued to a music career, some rappers have gone as far as having their face tattooed as no employer would be interested in one with a tattooed face, but for Jpegmafia, he has a plan B. When asked about what he’d do if music is no longer lucrative, he said journalism. The majority of his income has been from rapping and producing, especially his self-produced album Veteran. So far, Jpegmafia has been able to amass a net worth of $500,000.